The event organized on Sunday before the official start of the MWC 2017 not only served to officially introduce the new Nokia 3310. 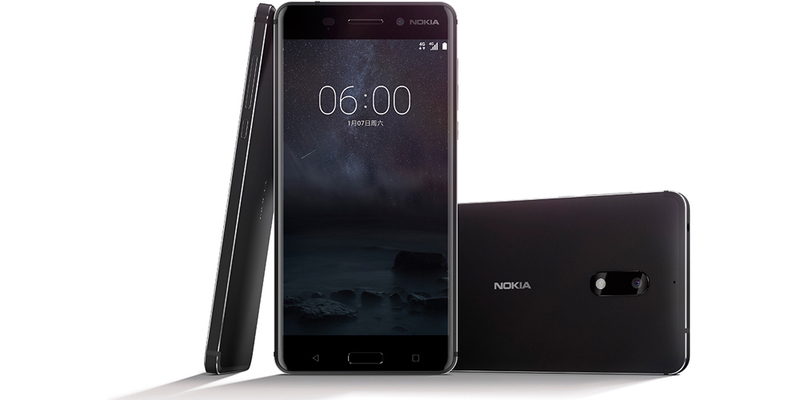 No, in fact HMD Global announced three new Android smartphones, Nokia 3, Nokia 5 and Nokia 6. All of them characterized by a small customization of Android Nougat and with prices ranging from € 139 to € 299 in the highest range of all. All three models share the same philosophy of design (not sacrificing the quality of the materials, also in the smartphone of lower range) and the choice of HMD to endow them with a standard version of Android 7.1 Nougat something personalized. This means that the manufacturer will not provide extra services, but will keep them in line with the latest security updates posted by Google. This decision will also give access to Google Assistant, the voice assistant that has just being opened to the mobile market beyond Google devices. The Nokia 6 comes with a 5.5-inch Full HD IPS display, a Snapdragon 430 processor with support for 3 GB of RAM. It has 32 GB of internal memory expandable by microSD, a sound system consisting of 2 stereo speakers certified by Dolby Atmos, rear and front cameras of 16 megapixels and 8 megapixels, respectively. A battery of 3,000 mAh and a body carved in a single block of aluminum 6000. In Europe will be sold in four different colors (Matte Black, Tempered Blue, Silver, Copper), at a price of € 229 plus VAT. To celebrate the global launch, there will be a special edition in color Arte Black, with 4 GB of RAM and 64 GB of internal memory at a price of € 299 plus VAT. The Nokia 5 will be equipped with a 5.2-inch HD display (1,280 x 720 pixels), will use a Snapdragon 430 processor, but with only 2 GB of RAM and will have 16 GB of internal (expandable) memory. 13 and 8-megapixel rear and front camera, 3,000 mAh battery and full aluminum body. It will be sold in four colors (Matte Black, Silver, Tempered Blue, Copper) at a price of € 189 plus VAT. The smaller from the family, the Nokia 3, will have a 5-inch HD display. It will be powered by a SoC MediaTek 6737 (quad-core CPU at 1.3 GHz), will have 2 GB of RAM and 16 GB of memory (expandable), front and rear camera of 8 megapixels and 2,650 mAh battery. Also available in four colors (Silver White, Matte Black, Tempered Blue, Copper White) and the expected price is € 139 plus VAT.